his brains are in terrible danger. HELLO ALL! 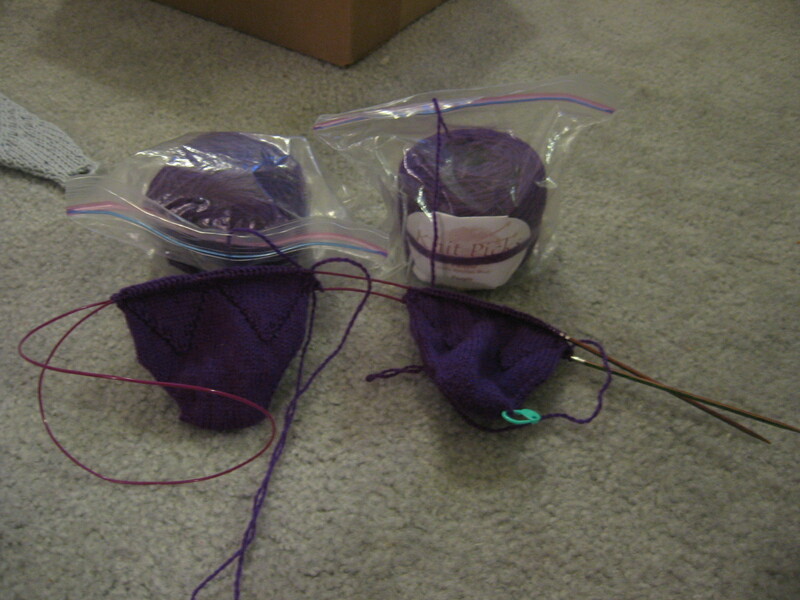 So, hyped up from seeing Stomp Out Loud tonight (IT WAS AWESOOOOOOOME) I’m posting some WIPs that are on the needles. 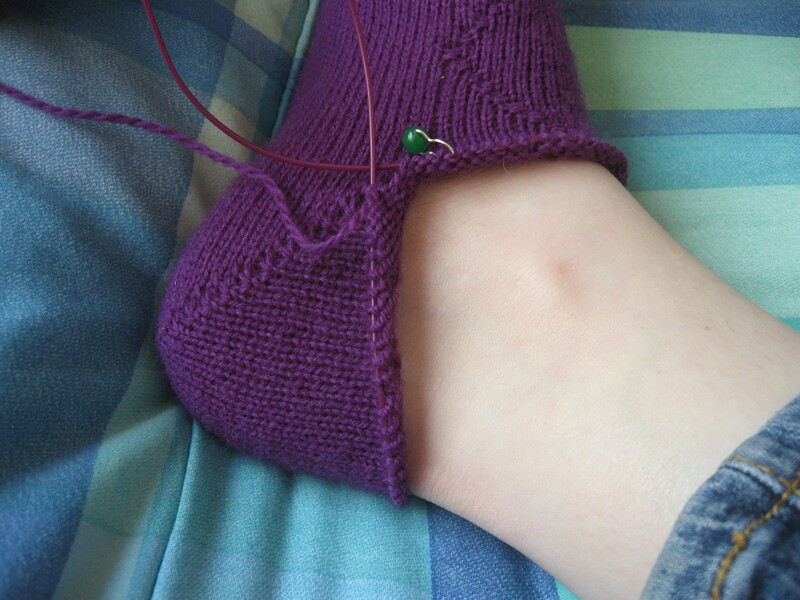 These are the Phineas Socks that I’m making for my sister KK. This is when they were just getting started, not even a full repeat of the chart done. 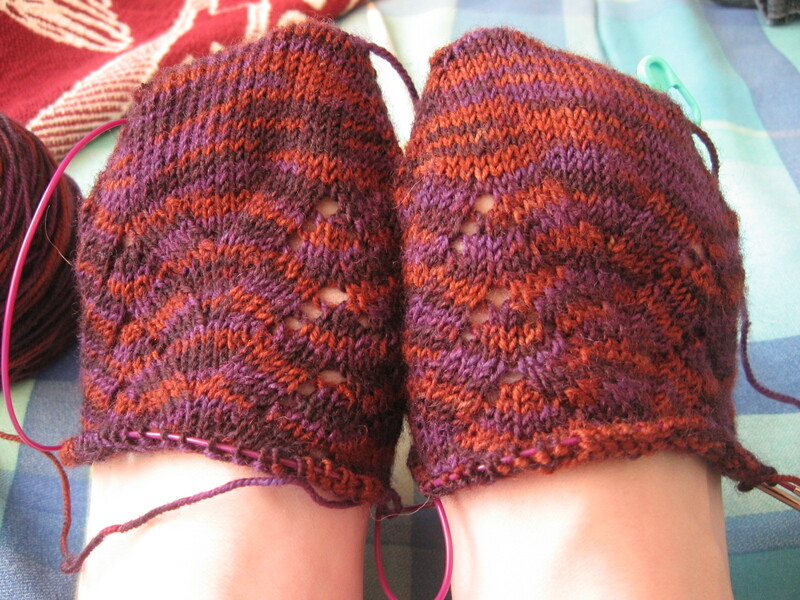 Now, I’ve finished the heels for both socks, and here’s some pictures, taken the day before yesterday. I LOVE THEM. So much! 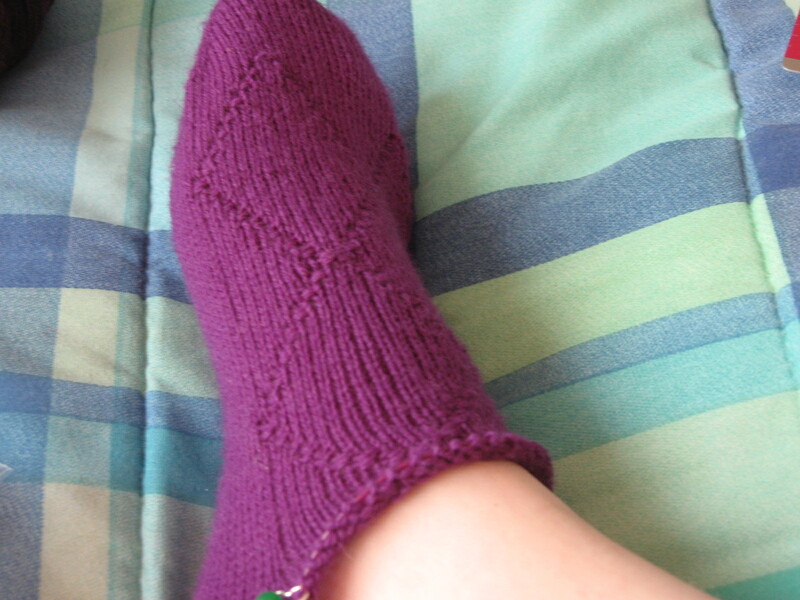 They’re a little more stiff than I’d like, but they are knitting up REALLY FAST and they look super awesome. I’m more behind than anyone else: Dani’s finished hers and worn them at least 3 times, and Christina is nearly done with hers. 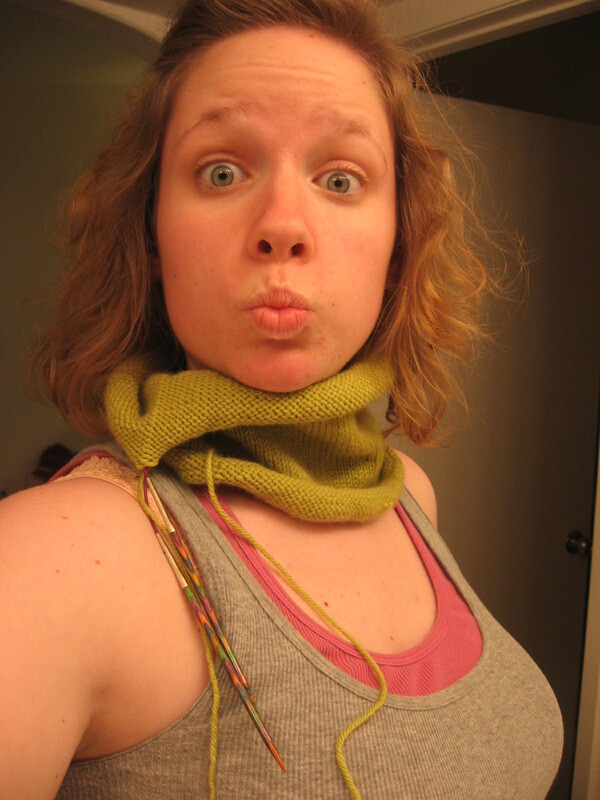 Next, a neckwarmer! 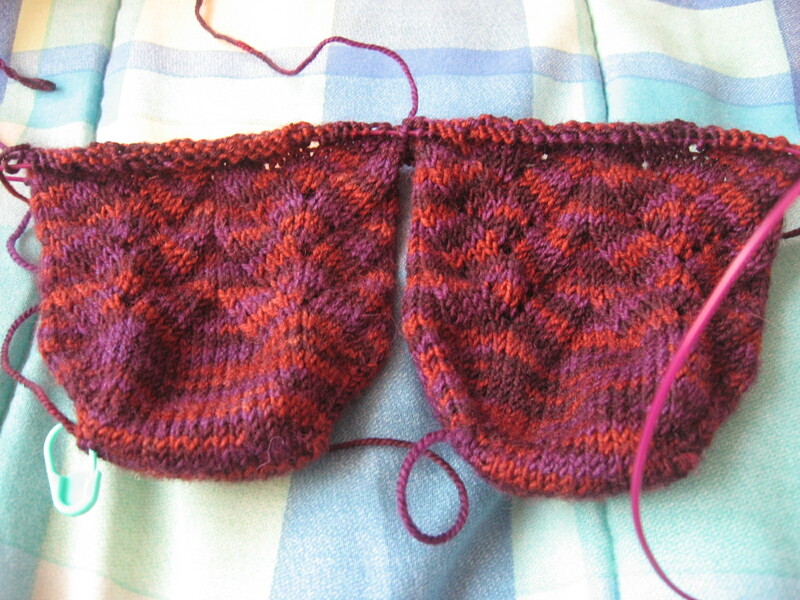 My classroom gets REALLY SUPER COLD, so I’m working on a cowl to wear in my classroom. 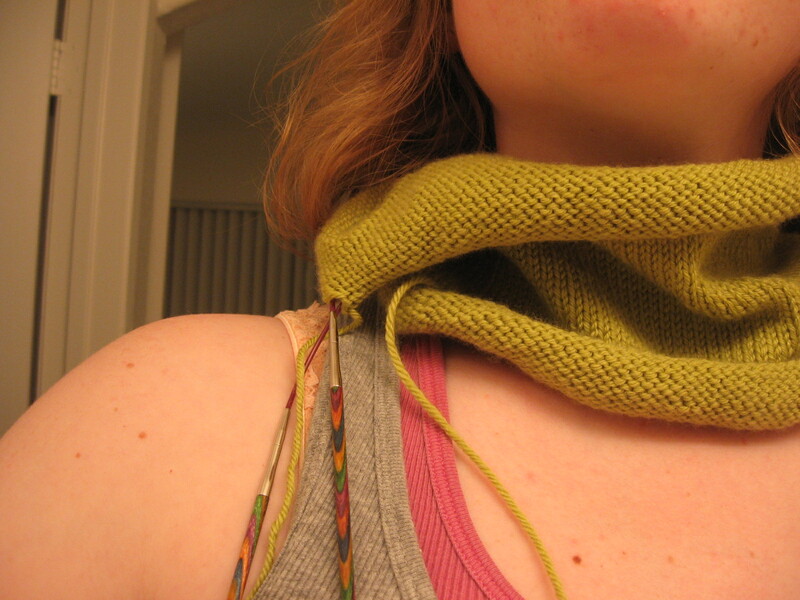 It’s called the Pea Soup Cowl, because the yarn makes me think of pea soup. Lastly. 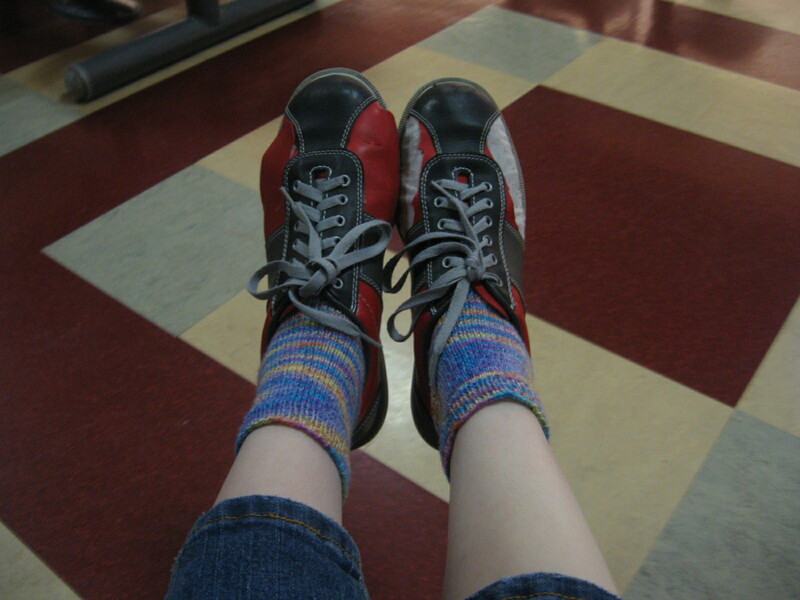 I wore my First Pair of Socks bowling last week! Here’s a picture of them in my super-rad rented bowling shoes. ps; Sorry about all the pictures. I don’t really like the way WordPress is doing the picture-uploading, and I can’t figure out how to space out the thumbnails, so until I figure that out, you’re getting bigger pictures.